Events include spectacular fireworks show, Roping, Riding, Mutton Busting, the American Flag arriving by parachute and Live Music. Rodeo takes place at the Dan Russell Arena. The Peach Festival will be held during the Farmers Market in the Plaza of Historic Folsom. Roald Dahl's timeless story of the world-famous candy man and his quest to find an heir comes to chocolate-covered life! Come take a fantasy ride into the land of pure imagination! Event includes beer tasting, tours, live music, exhibits and more! This 5k fun run features scenic running trails and finishes with a post-race festival complete with wine and music. The event benefits charities that work to end human trafficking. 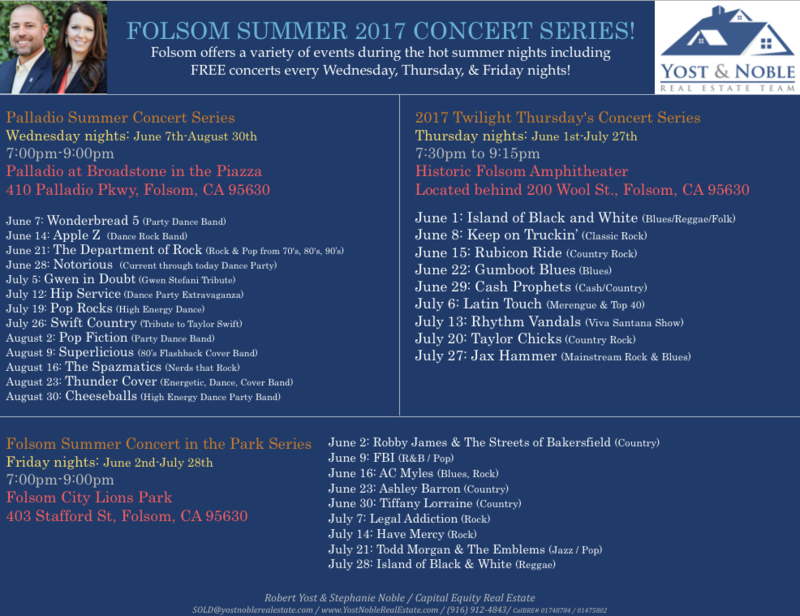 FOLSOM SUMMER 2017 CONCERT SERIES! Enjoy a free group ride on Thursday, May 11 to celebrate Bike Month. Riders meet at 7:30 a.m. in Folsom's Historic District to fuel up with coffee and pastries before the 8:30 a.m. departure. Along the 30-mile route, the group will meet up with other riders from around the region, enjoy a rest stop and a catered lunch, and finish at the State Capitol grounds to join in the Capitol Bike Fest. This event is free, but participants are encouraged to pre-register to assist with food counts. Questions about the event can be directed to Jim Konopka. The Folsom Symphony String Quartet performs for free in the plaza. Kick off your Mother’s Day weekend with a morning of fitness and fun! At the finish area, all participants can enjoy vendor booths, music, and light refreshments. Race starts/finishes in the Whole Foods parking lot at the Palladio. Hangtown Autograph Signing Event. Your favorite riders from Honda, Kawasaki, Suzuki, Yamaha and KTM will be signing autographs in the Whole Foods Parking lot to promote Hangtown Motocross Nationals on Saturday, May 20th. Due to the massive crowds for FREE autographs you must present a General Admission pass to gain access to the autograph lines. All Persons in line must have a general admission ticket or you can purchase one at the Autograph signing. Join the Rotary Club of Folsom for the 24th Annual Folsom Rotary Foundation Wine & Dine. All proceeds from the event are dedicated to local projects focused on community, education and health. Event includes wine and local craft beer tastings, a silent auction and more. Date Night – Late Night! The Folsom Historic Merchants invite you to enjoy Date Night Late Night on the First Friday of each month. Stroll Sutter Street and the entire Historic District. Participating merchants will be open until 9pm. Stroll the twinkle lit streets, shop the warm, unique stores, meet the merchants, enjoy specials and stick around for a bite to eat or a sip of wine. Restaurants and bars will remain open past 9pm. 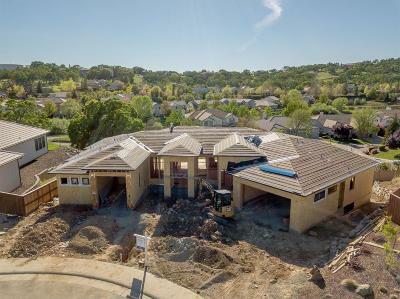 Shops in Historic Folsom are family owned and operated and each will have their own offerings and flair. Some things to look for will be art, live music, refreshments and specials. Show Historic Folsom your love! Four blocks of Historic Sutter Street will be filled with quality antique and collectible dealers. Great food and live entertainment will also be featured! This all ages event will feature a special visit from the Easter Bunny! Plus, tons of fun Spring Activities for kids. Remember to bring your camera and take a picture of your loved ones with the Easter Bunny! Make plans to attend one of the biggest and best car events in the Greater Sacramento area! The Capital City Cruisers invites you to see some great Cars. 300-400 of Northern California’s finest Hot Rods, Street Rods, Muscle & Classic Cars will be in attendance. Volunteers may select from projects to beautify and enhance Folsom’s recreational trail system or helping to improve the area’s creeks, waterways and open space. Folsom Trails Day volunteers will assist with planting native trees and making other improvements to the Johnny Cash Trail. Regional Creek Week volunteers will help clean up sections of the Humbug and Willow Creeks, and pick up litter in some of the City’s open space preserves. All registered volunteers receive a commemorative T-shirt, lunch, and beverages; volunteers should dress in work clothes and sturdy shoes and work gloves are recommended. More than 40 farmers/vendors are part of the Saturday Farmers Market around the Historic Railroad Turntable and Public Plaza in Historic Folsom. Enjoy certified farmers' locally grown seasonal fruits and vegetables. Plus, freshly made baked goods, fresh eggs and dairy items, live music and so much more!